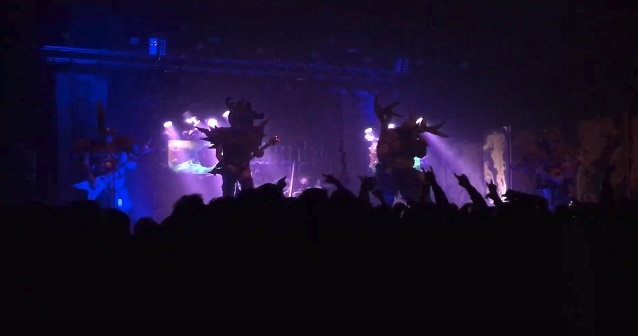 Fan-filmed video footage of GWAR's entire December 9 concert at Limelight Eventplex in Peoria, Illinois can be seen below. 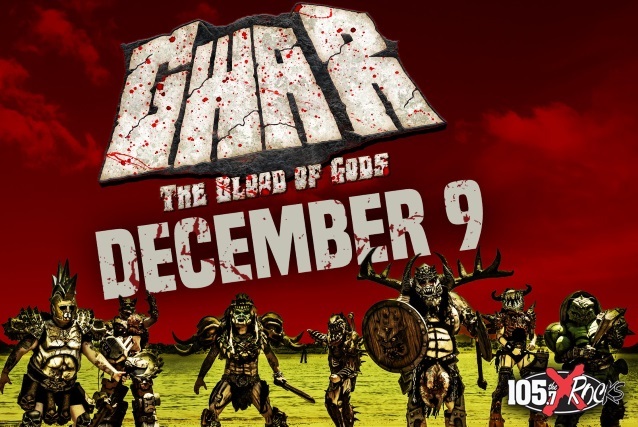 GWAR is continuing to tour in support of its latest album, "The Blood Of Gods", which was released on October 20 via Metal Blade. The disc was produced, recorded, mixed and mastered by Ronan Chris "Lord God" Murphy and was made available in standard CD, 2LP colored vinyl and digital formats. GWAR bassist-vocalist Michael Bishop, better known as Blothar, recently told Decibel magazine about the band's musical evolution leading up to "The Blood Of Gods": "GWAR has always sort of been in this weird… I might see this different than other people, but when we started the band, GWAR at first was a band that was parodying metal. We had what we thought were really dumb songs with lyrics like 'AEIOU — these are Satan's vowels!' We were making fun of the attitude that metal had, which was really all about machismo and the big hair, and we tried to do something that was sort of a parody of metal, but the problem was we were all punk musicians and what we wound up doing was something that was kind of punk, and we found our way to metal over the years, to kind of doing it more seriously. It seemed like that's where the band fit. That's where the storyline and the songs made sense. 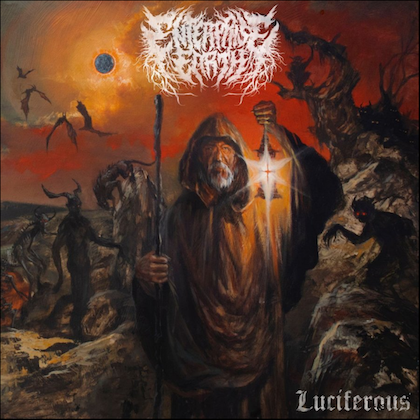 Over the years, ever since the album 'Violence Has Arrived', they moved further down that road of being sort of a death metal band. "This record is definitely not that. It's more of a rock and roll record. It has songs that are more like the stuff we were doing on the fourth album, where we were trying to do some different stuff, some stuff that has kind of some roots in punk rock, some roots in rock and roll, but also some stuff that really plays with different styles. GWAR never really made songs that had an Alice Cooper ballad feel to it, but we have a song like that, 'Phantom Limb', on this record. It doesn't sound like Alice Cooper, but it's always hard to explain to people how, when you listen to something, how that comes out the other end of that sausage machine. It's its own thing, but what I was listening to when we made it was [Alice Cooper's] 'Dwight Fry' and those kinds of songs. Just the idea of doing a ballad that was also kind of sinister and not maudlin." Regarding the making of "The Blood Of Gods", Bishop said: "We had three and a half years to make it, but we didn't spend all that time working on the music. There was some stuff that had been around for a couple years that we sort of refined, but a lot of it was done sort of quickly… We wrote and recorded the record in six months. I had some material, Brent [Purgason, Pustulus Maximus] had a lot of songs, and we had to find a way… It was essentially a new band. It was a group of musicians that hadn't played, even though I'd played with Brad [Roberts, Jizmak Da Gusha] and played with Mike [Derks, Balsac the Jaws of Death] for many years, I hadn't played with Jamison [Land, Beefcake the Mighty] or Brent. Some of the time was spent just figuring out how that was going to work. Once we had an understanding, once we found a way to work, we produced some material pretty quickly. 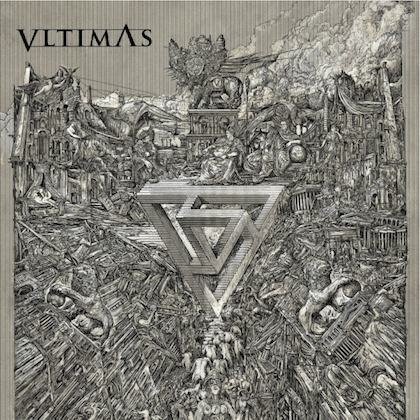 "A lot of people participated in the making of the record. Everybody helped write the lyrics. It was definitely a communal effort. 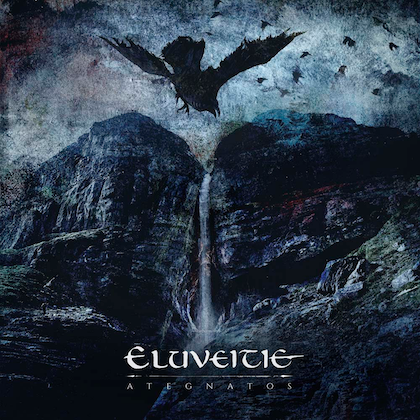 The artists, as always, had some influence on the material and what the songs were about. It was kind of an old-school GWAR record in that way. GWAR used to have records that would come out with a few different singers on the record — Sexecutioner would sing a song, and Granbo and 'The Morality Squad', songs like that where we would have our enemies sing and stuff like that. There's a little bit of that on the record."